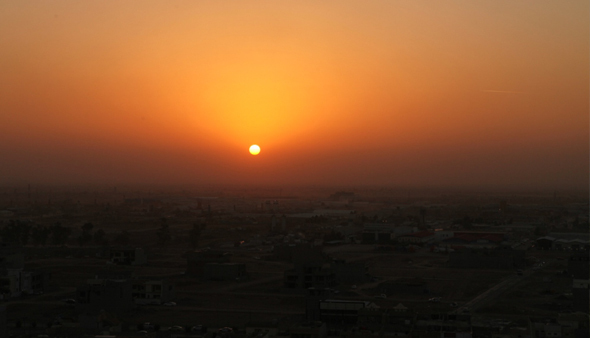 ERBIL: While the strong irredentist urge of the Kurdish people over the centuries has always been to have a state to call their own, the one territory to have nearly achieved this -- the Autonomous Kurdistan Region -- part of northern federal Iraq, is walking a tightrope on actually pressing for full statehood in the near term. "The mood in Erbil, Sulaymaniyah, and Dohuk -- the three largest cities in Iraqi Kurdistan -- is newly buoyant these days, and with good reason. Iraq's Kurds, who occupy the semiautonomous region run by the Kurdistan Regional Government (KRG), have much to celebrate." According to Joost R. Hiltermann, Deputy Program Director for the Middle East and North Africa at the International Crisis Group and Research Affiliate at the MIT Center for International Studies. "The mood in Erbil, Sulaymaniyah, and Dohuk -- the three largest cities in Iraqi Kurdistan -- is newly buoyant these days, and with good reason. Iraq's Kurds, who occupy the semiautonomous region run by the Kurdistan Regional Government (KRG), have much to celebrate." Hilterman wrote recently in Nov.-Dec. issue of Foreign Affairs magazine. 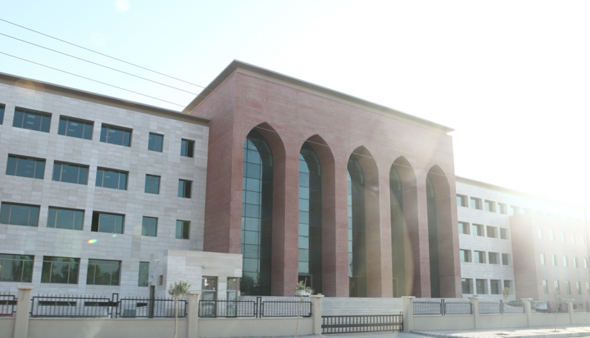 "They enjoy relative peace and stability compared with the rest of the country, boast a moderately open society, and, over the past year, have received a whopping vote of confidence in their nascent economy from some of the world's largest oil companies, including ExxonMobil, Chevron, Total, and Gazprom, all of which have signed exploration contracts with the KRG. Not only is Iraqi Kurdistan undergoing an unprecedented building boom, but its people are now articulating a once-unthinkable notion: that the day they will break free from the rest of Iraq is nigh." Indeed, a separation with Iraq; a strong alliance with Turkey, and the continued separate foreign policy practiced by the mini-state of five million Kurdish citizens has some decided pluses, but also some strong ramifications if an independent state was to actually come about. Both sides -- federal Iraq and the KRG -- may find a mutual ground to agree on a split, but not without much debate and perhaps a period of armed conflict that neither side really wants. To date, the largest controversy, and nearest the sides have come to any actual fighting, is over the controversial issue of which government should control the oil city of Kirkuk. 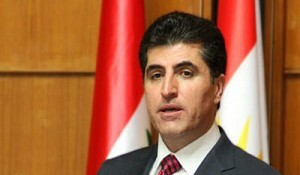 Because of recent disputes, there has been some call from activist and more militant Kurdish politicians for autonomous Kurdistan to secede from Federal Iraq. At question ultimately, beside a political and cultural desire for independence, would such a move greatly benefit Kurdistan or would it rock the economic boat that the region currently enjoys. 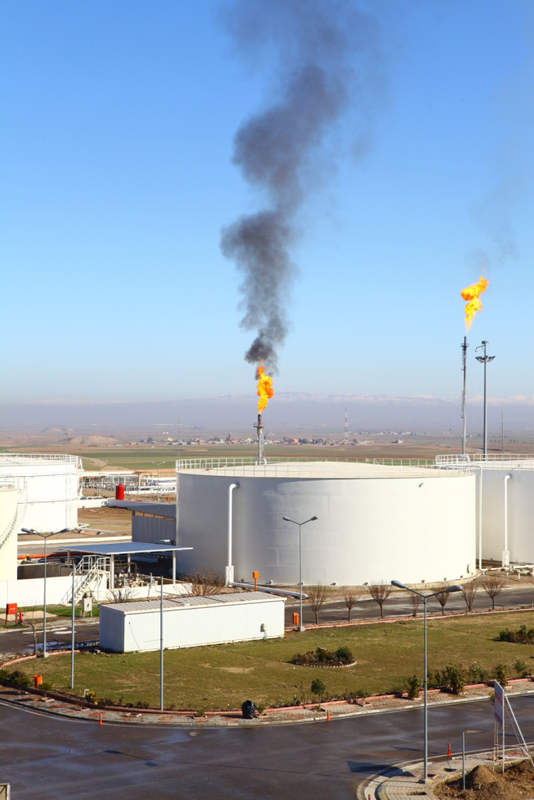 To reduce the argument – for more level heads in the KRG and the Kurdistan business community – it all comes down to money and oil as the logic decision making. So despite a populace movement in this direction, the political parties themselves – the Kurdish Democratic Party (KDP) or the Patriotic Union of Kurdistan (PUK) –has not issued any such overt call for independence, rather the general push is toward economic autonomy. This does not mean, of course, that individual political heavyweights stay out of the fray, as with Kurdish President Massoud Barzani who has let it be known that he would push for an independent state. While Turkey has been pulling the Kurdistan region more in its orbit, it is doubtful that either Turkey or Iran wants to see Kurdistan separate from Iraq. But these neighboring states do want strong economic relationships with Kurdistan to the point of defying Baghdad. As to resorting to arms -- while the days of the Saddam Hussein regime and the brutal tactics employed against the Kurds in a campaign of scorched earth and chemical attacks as gone, the Kurdish populace and Peshmerga probably would not even want a “conflict lite” with Iraq as that would bring the economic boom to a halt. 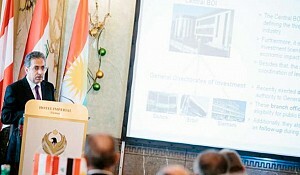 Many businessmen in Kurdistan do not want to be independent. When Marcopolis interviewed them they declined to comment on politics, instead preferring to stay business focused. 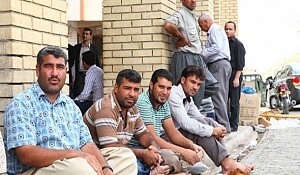 The economic gains and investment potential in the whole of Iraq is better for them, then on their own. And many say that as long as there is constitution there is no debate. Many see the constitution as the most important document. Some analyst have suggested that Iraq’s centrist push on controlling the flow of oil from Kurdistan and distributing the subsequent income, is something of a stalking horse for Iraq. For the Kurds, there the consideration of their 17 percent of the federal Iraq budget – which though held up this year over disputes – comes to $11 billion yearly. There is little question that Kurdistan would like to pay that hefty economic price for independence. 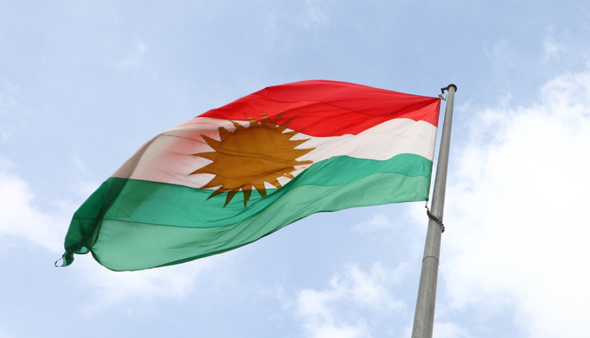 Mark Deweaver, Principal at Quantrarian Capital Management, said, "It seems to me that the status quo works very well for the Kurds at the moment. Also consider the Kurdish role as king-maker in the Iraqi central government. They’re in a very strong position when it comes to, for example, deciding who’s going to be the Prime Minister. They have a very strong block in Parliament." 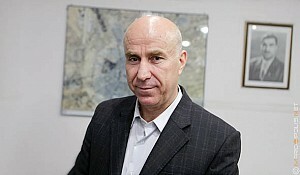 He added," They have a lot of advantages from the present arrangement and it’s very hard to see what the advantages would be of the Kurdish region fighting a civil war with the rest of Iraq or declaring independence"
Lost income from a split could eventually be made up – but that depends on how long eventual “is” – if as mentioned before with a potential conflict scenarios, even without an armed conflict could the Kurdistan economy take the hit of losing that federal payout. As pointed out in a previous Marcopolis article, the next fault line for both economic and military conflict crosses the oil rich city of Kirkuk. It is under the de-facto political control of Kurdish authorities and annexation of this zone would hand over use of the valuable Kirkuk-Ceyan pipeline which pumps to Turkey’s Mediterranean coast. But again, it seem too risky for Kurdistan to try something as ham-handed as go for annexing the city in the short term. However, as the political situation develops in the future – along with Kurdistan’s economy – a state by the middle of 21st century might not be so unimaginable. Autonomous Kurdistan must not only be willing in the end to be politically independent but to be self-sustaining and economically independent as well.